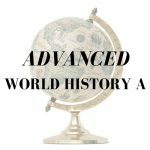 Advanced World History is a high school level course adapted from college-level materials with a focus on primary source analysis and critical thinking, including a truly global approach to world history. 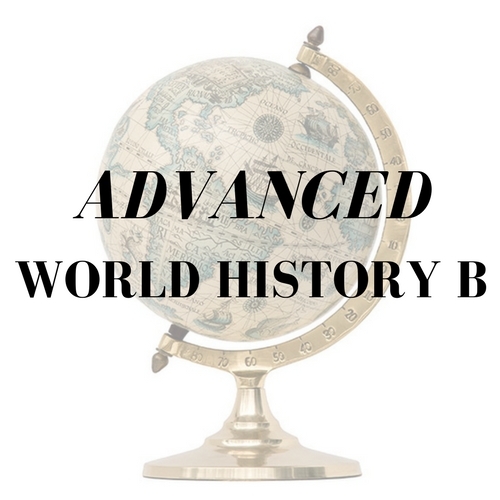 Advanced World History B spans 1450 CE to the present day to expose students to diverse and significant world history stories. 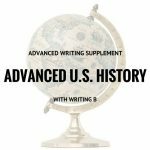 Categories: History/Social Science, Teen Focus, Advanced, Spring 2018, Spring 2019. Tag: Standard Semester. Advanced World History B, a semester-long course, uses a global, chronological approach to get students to think like true world historians. As we move from the end of the Middle Ages to the connected world of the moment, students will encounter abundant primary sources, story maps and opportunities to learn from each other through webinar and forum discussions. This textbook is the latest revision of a text currently in use at respected universities across America. We have selected this particular edition for its inclusion of the new online study technology, InQuizitive. Please be very careful to acquire the 2015 one-volume Concise Edition ISBN 978-0-393-91846-5 with InQuizitive registration card so that your student will be able to fully participate in all aspects of the course. An inexpensive Ebook version is also available. We strongly recommend ordering directly from Norton to ensure you get the correct edition. Advanced World History A or equivalent. Students must be prepared to read and analyze challenging material at an upper high school/early college level. Students must also be able to write multi-paragraph texts independently and participate actively in written discussion forums and webinars.